Diet Plans for Thyroid in Delhi, Diet Chart for Thyroid in Delhi, Thyroid Diet Counseling in Delhi, Dietitian for Thyroid in Delhi. Hypothyroidism is a condition in which the thyroid does not make enough thyroid hormone. Common symptoms are constipation, fatigue, feeling cold, weight gain, depression, hoarse voice, forgetfulness, sore joints and muscles, and goiter. Treatment of hypothyroidism primarily consists of replacement therapy with a synthetic thyroid hormone; with a little planning, you can have a healthy, tasty diet that compliments your Medical treatment which is Required in Thyroid. Avoiding saturated fats, refined foods, sugars, and white flour products are good for treating thyroid. If it is severe then avoid Brussels sprouts, cabbage, broccoli, kale, mustard greens, peaches, and pears. All these food items have anti-thyroid substances and may suppress the thyroid function. Yellow vegetables, eggs, carrots, and dark green vegetables are rich in vitamin A. try to take foods rich in vitamin A, as it helps in the treatment of thyroid disorder. Zinc and copper are important in helping the body make thyroid hormone. Beef (range free), chicken (range free), oatmeal, seafood, bran, dried beans, tuna, spinach, seeds, and nuts. Foods rich in copper include organ meats (range free), eggs, yeast, legumes, nuts, and raisins. Vegetable juices (celery, parsley, a small amount of carrot, Swiss chard, wheat grass), seeds and nuts, seed and nut milk, and plenty of green drinks containing chlorophyll can produce healthy blood, which is helpful in controlling thyroid for some extended. Always make sure you drink plenty of water each day - at least six to eight glasses. 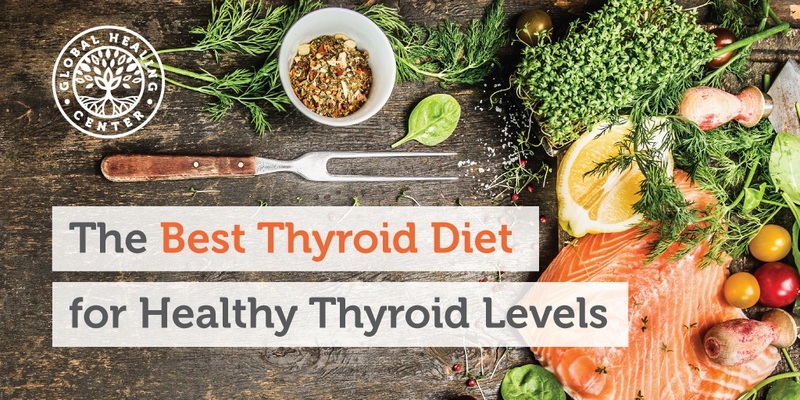 A low thyroid diet doesn't have to be a mystery. With a little planning, you can have a healthy, tasty diet that compliments your medical treatment which is required in Thyroid.